In the basic strategy, you learn tricks on how to play in almost every possible situation even without necessarily mastering the distribution pattern of the other cards on the deck. The following basic strategy can be applicable in a game of four decks or more with the dealer standing on the common soft 17. There are other basic strategy charts that can guide you through a series of other situation although the one bellow could be very applicable across the board. 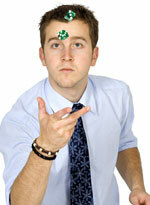 Look up your hand in line with the left vertical edge while the dealer's hand is on the up card in line with the top. Under both circumstances, an A represents an ace while the hard totals will be from top to bottom and the split tables' hands will also be available. It is however important to note that the fluctuations in the dealing process may have effects especially along the borderline situations. It therefore calls for diligence when in order to be able to judge on such flexible situations such as the number of decks among others. The dealer's decision to stand at a soft 17 and the right to double after splitting will all be made at the player's own discretion. There are a few blackjack rules which require anyone attempting to play blackjack to follow and this concerns the way the cards are arranged and counted. Basic strategy charts introduces the new blackjack player to concepts like hand counts and Dealer upcards. The chart lists the numbers 6-5-4-3-2-7-8-9-T-A sequence from left to right and represent ascending strength of the dealer upcard from left to right. It means 6 and 5 are very weak dealer upcards which changes as the numbers move to the right. Conversely, the player's upcards are 6 and 5 and this reduces as the numbers move from left to right. One precaution for the player is to understand that he or she is not safe when the dealer upcards are strong and need to take considerable care while playing. The dealer upcards forms the basis of all blackjack strategy and gives the blackjack player an advantage over the dealer even though some dealer upcards may be a disadvantage to the player. The dealer upcard Aup represents the strongest position for the dealer and the weakest position for the player. The chart enables the player to understand how their hand count varies with dealer upcards. The left column represents the players Hand Count and this is arrived at by adding the cards together. Cards from numbers 2 to 10 use their face values while Kings, Queens and Jacks are given a prime value of 10 based on their beauty. The sum of the cards is denoted by a small c and is known as Hand Count. A Hand Count of 8 and 7 would be written as (15c) since 7+8=15. Similarly a Q and a 5 will give a Hand Count of 15 since Q has the value of 10 and 10+5=15. Aces present some exceptions to the above rules of Hand Count. An ace may be counted either as 1 or 11 depending on whether counting it in one way may cause the Hand Count to exceed 21 which is considered an over bust. This means that if a player encounters two Aces, one Ace would definitely count as one and the value of the other will be determined by the value of the other card plus one Ace. For example a Hand Count of AA10 would require that the Aces be counted as 1 so the Hand Count would be 1+1+10=12. A6 will simply give a Hand Count of 17c since 11+6=17. Blackjack basic strategy guide has five playing options which include Hit, Stand, Split, Double and Surrender and these are indicated by coded colors. 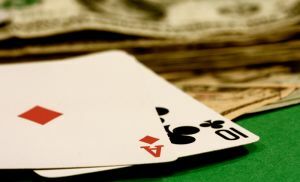 A player can play either hit or stand on any count as long as the resulting Hand Count does not exceed 21.The use of Double and Surrender are often restricted though the rules change vary from one Blackjack game to another. It is important to study the accompanying texts in each section to be guided accordingly.